Kim and Dawn Lundy ran the Belfast Marathon in May 2013 to raise funds for Mitre. Kim’s son who has scoliosis was treated in Musgrave. He was attending Creavery Primary School in Antrim at that time. 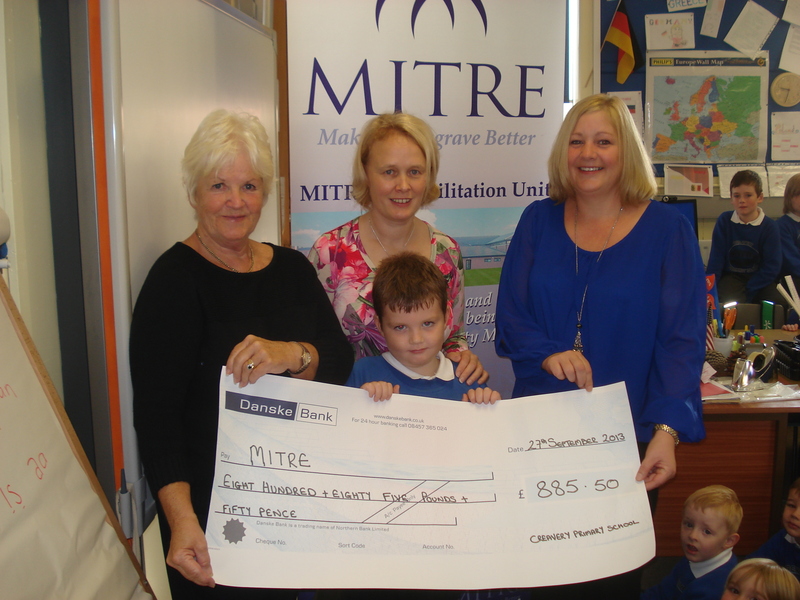 Our thanks to Ms. Dunwoody, Headmistress of Creavery Primary School for the schools support in raising £885.50 for THE MITRE TRUST. 60 pupils , parents , family and friends attended a BBQ, a Coffee morning, a Bake off and Carol singing.